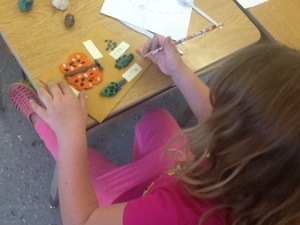 Today we researched the life cycle of the painted lady butterfly. We used a website called PebbleGo to help us draw diagrams of the painted lady butterfly life cycle. A diagram is a picture that has labels that tell about the picture. 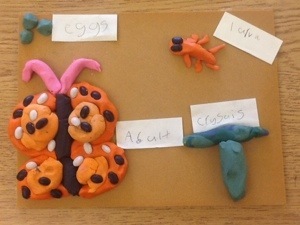 Then we used our diagrams to help us make 3D models of the painted lady butterfly life cycle. 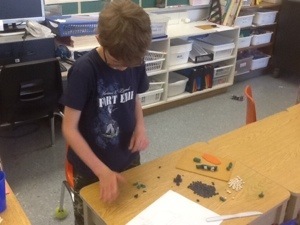 We used plasticine, black beans, and orange and white lentils. 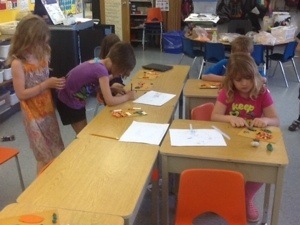 We saw your butterfly life cycles and we are researching about painted lady butterflies too! Did you know that if they get knocked off once they’re in their pupa they will die! That happened to some of ours. On the pupas we noticed there was something blue. We are not sure what that is. 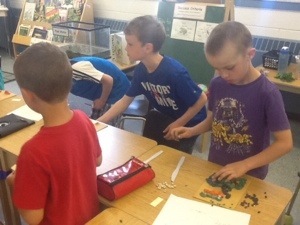 Caleb thinks it might be bacteria because he knows that bacteria feeds on dead things. We have a few pupas that fell down too, but we haven’t seen any blue. Maybe you could bring one of your blue pupas down to our classroom so we could see too. Do you have any butterflies yet? We don’t but we know they are coming soon! I’ve got luna moths at my work that are emerging from their cocoons that the caterpillars made last fall out of leaves. They don’t hang like chrysallis do. Why do you think they use leaves when making their cocoon? 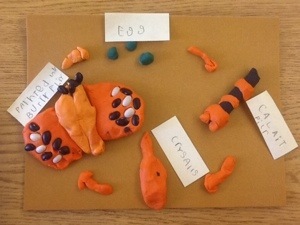 By the way, I love how you illustrated the life cycle using plasticene. It gives it a 3-D effect.